The Seven Deadly Sins takes place in the Kingdom of Leones, where humans and non-humans are not yet separated. Here society is protected by the Order of the Holy Knights, a group of powerful magic users that are both revered and feared by the people. However there is a legend of a single group of seven knights that betrayed the order, known as The Seven Deadly Sins. They are rumored and feared by the kingdom as criminals. Though things are not quite what they seem. 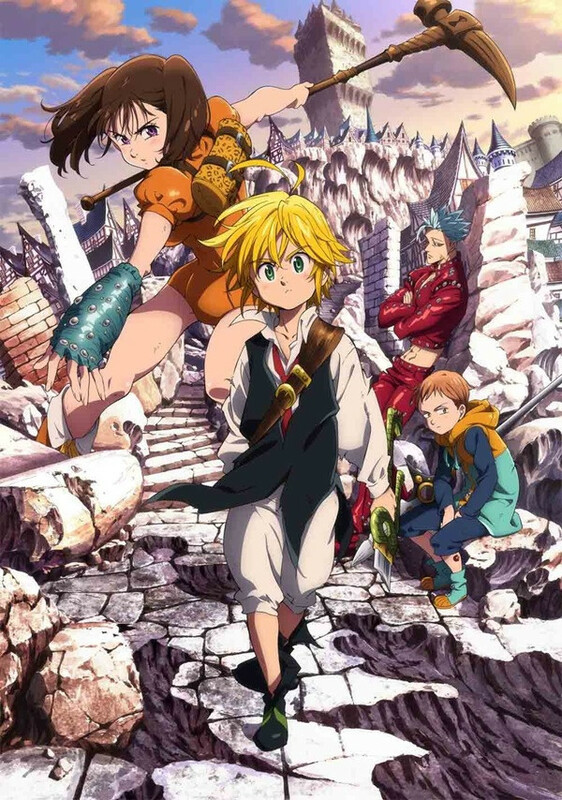 A girl named Elizabeth sets out to find each of The Seven Deadly Sins in hopes of exposing the truth and corruption among the Holy Knights, who in reality terrorize the people and ultimately plan to start a war. She meets a young tavern owner named Meliodas, who ends up being much more than he appears to be. Together they set off on a journey to find the other Sins, and ultimately stop the tyranny of the Holy Knights.